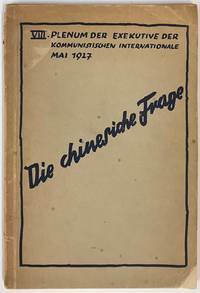 By Linder, Gisela, auswahl und nachwort, Fritz Genkinker, David Hockney, Gustave Courbet, et al. Leipzig: Insel Verlag, 1999. Paperback. 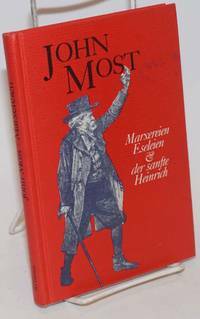 143p., text in German, illustrated with color plates of various works of art, very good first edition paperback in white pictorial wraps. Insel Taschenbuch IT 2523. Koln, Germany: n.pl, 1965. Paperback. 163p., wraps, very good condition. Inaugural-Dissertation ... der Universitat zu Koln. 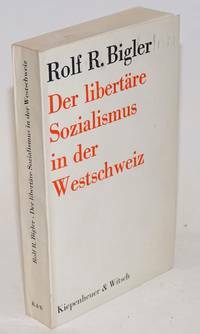 Wien: Europaverlag, 1977. Paperback. 190p., wraps, very good condition. Text in German. 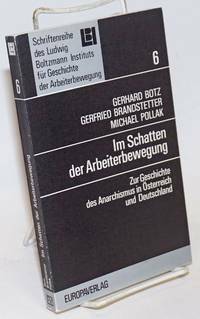 Schriftenreihe des Ludwig Boltzmann Instituts für Geschichte der Arbeiterbewegung, 6. Wetzlar: Buchse der Pandora, 1985. Hardcover. 192p., very good condition. Text in German. 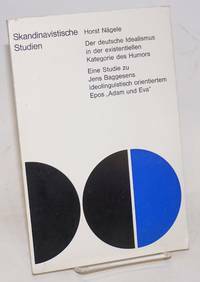 West Berlin: Karin Kramer Verlag, 1973. Paperback. 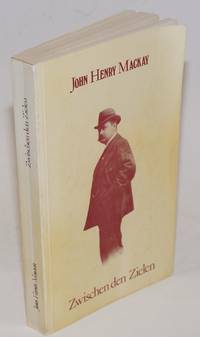 132p., wraps, paper browned, last page foxed else good condition. Text in German. Cologne: Kiepenheuer & Witsch, 1963. Paperback. 343p., wraps, wraps worn and soiled, else good condition. Text in German. 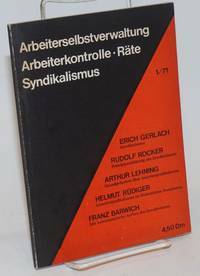 On anarchism in Western Switzerland. Berlin: Ernst-Reuter-Gesellschaft, 1963. Paperback. xvi, 178p., wraps, wraps slightly worn else very good condition. Text in German. 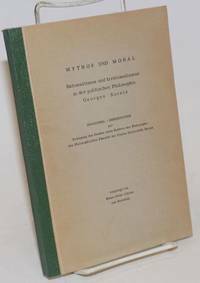 Dissertation by a German philosophy student on Georges Sorels. Berlin: Ernst-Reuter-Gesellscaft, 1962. Paperback. 235p., wraps, very good condition. Text in German. 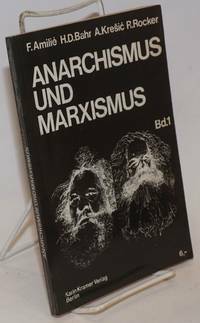 Dissertation by a German philosophy student on Bakunin's work as a journalist in Dresden. 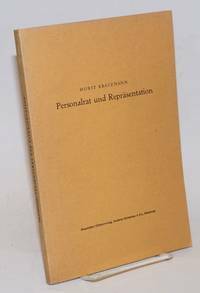 Berlin: K. K. Verlag, 1971. Paperback. 96p., wraps, 6 x 8 inches, wraps worn, pages slightly toned else very good condition. Text in German. Leipzig: Johann Friedrich Braunen, 1710. Hardcover. frontispiece, rubricated title page,  314p., , Register, 30 plates, many folding; 8x6.5 inch text printed in German, fraktur font, ex-libris bookplate of American zoologist Charles Atwood Kofoid on front paste-down, signature of UC Berkeley student of Slavic Languages Benjamin Jack Pooler. Re-cased, probably early 20thC. The textblock (all edges tinted red) is original with two original blanks initial and terminal. This rebind incorporates very old marbled boards with vellum corner-tips, very edgeworn showing card, backed with an untitled binders'-tape spine; adhesive-tape hinges, but holding well. Leaves toned and bear light dust-smear, small pipe-coal burns and an ancient food smear. Expect readers' markings here and there, most especially light pencil and ink marks to rubricated title page including an arabesque doodle. First edition of a much-reprinted item that established the historicity of the Noaic Deluge through fossil evidence; the plates are in remarkably good condition, same toning and discolorations as with text paperstock. We see one short tear where a folded plate, no.7, was bound too close to the gutter...general good condition. 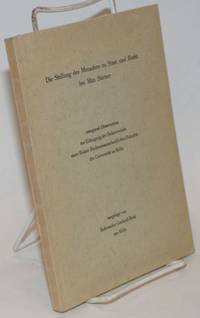 Buttner's book on modern scientific proof of the Biblical Flood found in marine life, plants, and the contemporary state (1700s) of the Earth's waters. Kritische Theorie, Eine Dokumentation. Herausgegeben von Alfred Schmidt. 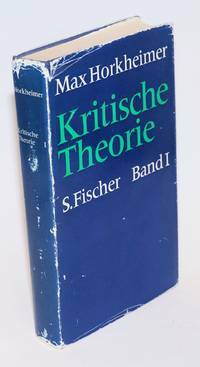 Band I.
Frankfurt am Main: S. Fischer Verlag, 1968. Hardcover. xiv, 376p., hardbound in 8x5 inch openweave cloth boards, dark blue with a white printed spine label, in dust jacket. The jacket is quite edgeworn with an inchlong folded tear with verso tape strengthening, the book itself is entirely sound, clean and unmarked. Hamburg: Carl Hoyn, 1928. 160p., paperback, pages toned, front cover has a corner chip. Neumünster: Wachholtz, 1971. 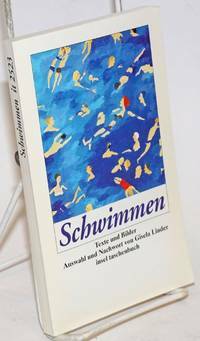 187p., paperback, very good; text in German. Skandinavistische Studien. Bale: Association Internationale des Numismates Professionnels, 1959. 289, 27 pages of illustrations, hardcover, cloth boards mildly foxed, smudged with fingerprints; interior clean. On the coins of Salzburg, starting from the Middle Ages. 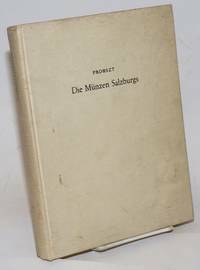 Wein, Austria: Verlag der Wiener Volksbuchhandlung, 1950. Hardcover. 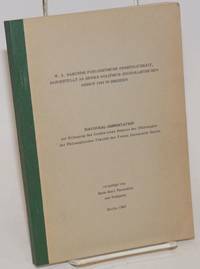 279p., publisher's ad leaf, hardbound in clothbacked paper over boards titled in black and red, in a ditto dust jacket with extensive commentary on the two flaps. An extremely nice copy albeit the intact jacket is quite edgeworn. 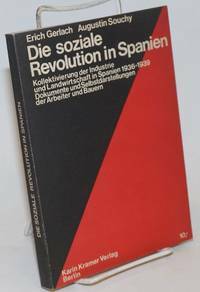 Gross Gestalten des Sozialismus, "II. Band, Jean Jaures" [ earlier item, "I. Band", entitled "Victor Adler, Aus seinen Reden und Schriften"]. Hamburg: Hansicher Gildenverlag, Joachim Heitmann & Co, 1977. Paperback. Unpaginated preliminaries, 155p., text entirely in German; softbound, a paperback in 9x6 inch peach-colored wraps titled black, spine panel slightly faded, a nice sound copy. Munchen: J.F. 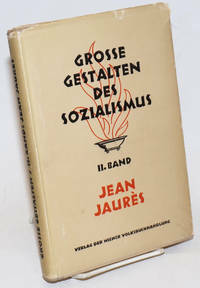 Lehmanns Verlag, 1951. Hardcover. 220p., publisher's ads, nice fourth printing in openweave sailcloth titled in dark brown, dust jacket in fine shape, obi band present but torn. Casing is very faintly sprung, free endsheet bears a couple neat ownerships. Very good all round. Laid in, two publisher's fliers, these quite acidic and toned and should be enclosed or discarded. 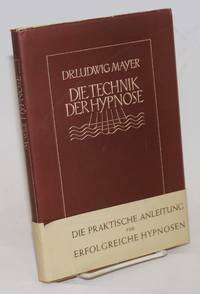 Hamburg: Verlag der Mackay-Gesellschaft, 1984. Paperback. 227p., text in German, very good trade paperback edition in cream pictorial wraps. A collection of short stories by the anarchist proponent of Man/Boy love. Nurnberg: the author, 1976. 151p., paperback, reproduced from typescript; "perfectbound" spine of the type that will crack if fully opened, but still intact now. 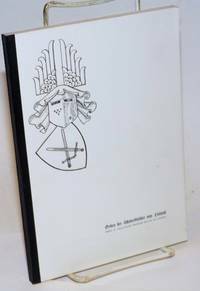 On the Livonian Brothers of the Sword, with drawings of numerous coats of arms. Text in German.